Since I don’t trust myself to publish my most recent entry without taking another look at it tomorrow, here’s something in the meantime. 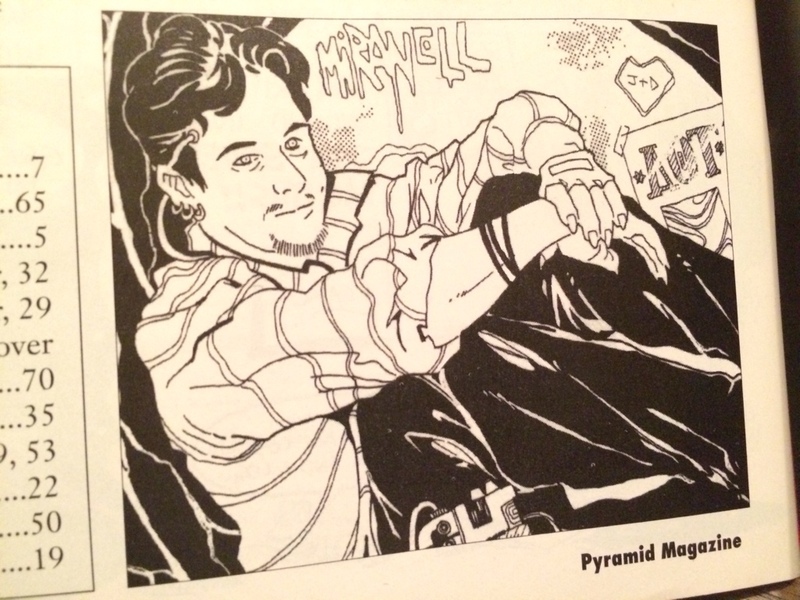 This is an illustration of me in a science-fictional, cyberpunk future, from the back page of the second issue of Pyramid. Note the cable going into my right temple. I look nothing like that today. Thanks to Dan Smith for drawing that, just over 20 years ago.